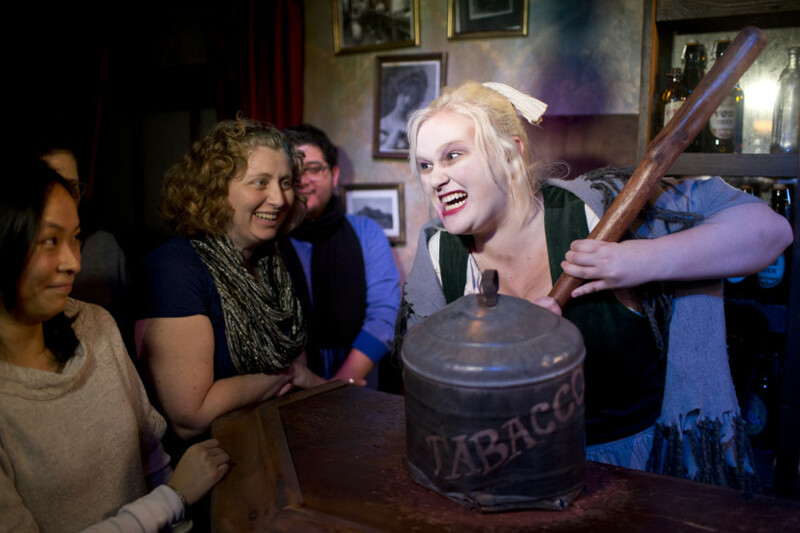 The San Francisco Dungeon will be plussing the their one-hour walking tour with a new Escape Alcatraz finale opening Halloween weekend 2016. To be fair, this is not only a ride – but this also gives the show a new ending, complete with fresh sets, characters, costumes, and more. Construction of the new drop ride and permanent attraction is currently underway six-feet-below sea level. 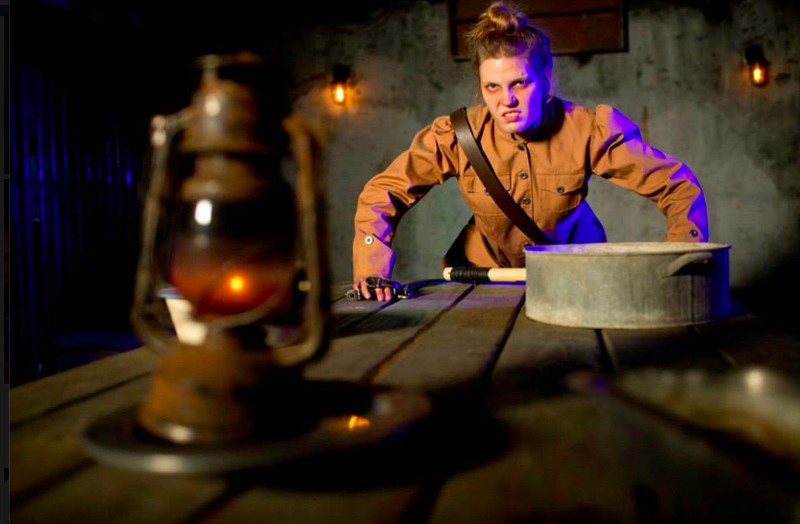 The Dungeon must first break down several walls in order to accommodate the new ride within its existing 25,000-square-feet of underground space, then build new rooms, staging, and sets around it. Engineered by Swiss-based WillTEC, the custom-built ride height totals 23 feet with a drop of just over 11 feet. The ride will hold a total of 18 passengers per drop, with a ride time of approximately 33 seconds, while a snug lap bar provides passenger safety in two gondolas, each holding nine passengers at a time. Over $1M was spent to build this new and only ride on San Francisco’s iconic Fisherman’s Wharf, including the conception, construction, shipping, installation, new sets, costumes, technical training, and more. 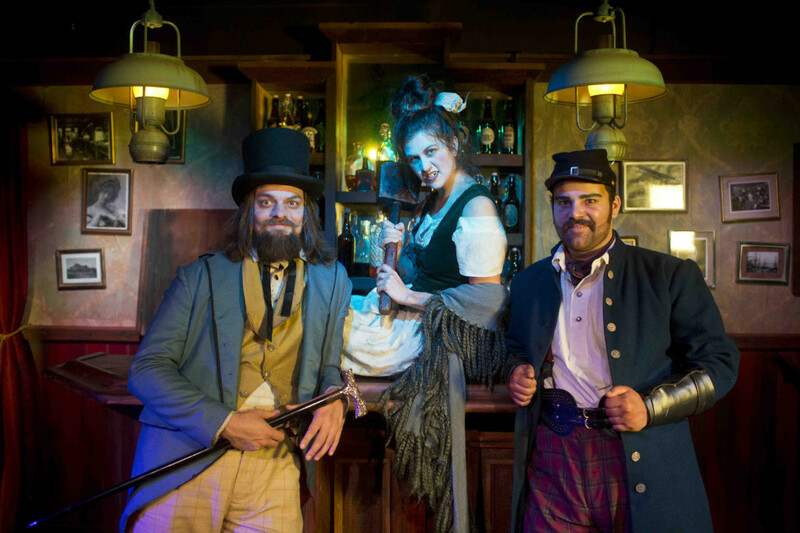 Nothing else like The San Francisco Dungeon or the new Escape Alcatraz drop ride exists in the entire country, making this the first and only family-friendly attraction of its kind in the United States to be created by Merlin Entertainments. 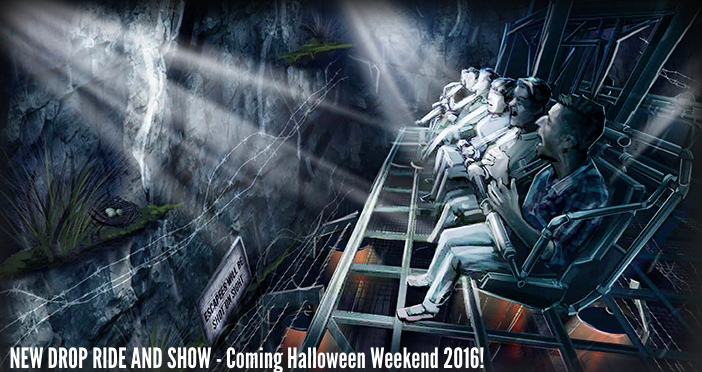 The new Escape Alcatraz drop ride and show will be unveiled to the public over Halloween weekend, offering a one-of-a-kind way to celebrate the holiday and enjoy something brand new directly under Fisherman’s Wharf. Elaborate sets with simulated grass and foliage create an authentic re-creation of an Alcatraz cliff complete with barbed wire on aged wooden supports, sooty brickwork and splashes of mud. Sounds of distant thunder, sea gulls, sea lions, crashing waves and the hum of the prison echoes around a room filled with the smell of briny sea air. Detailed prison guard costumes, sharp and irreverent script writing and hilarious visitor interaction and engagement make the show and build-up to the (optional) drop ride that much more genuine and thrilling. As visitors depart the popular Ghosts of Alcatraz scene, they are marched through a dimly-lit corridor into a stark, foreboding and immersive processing room. 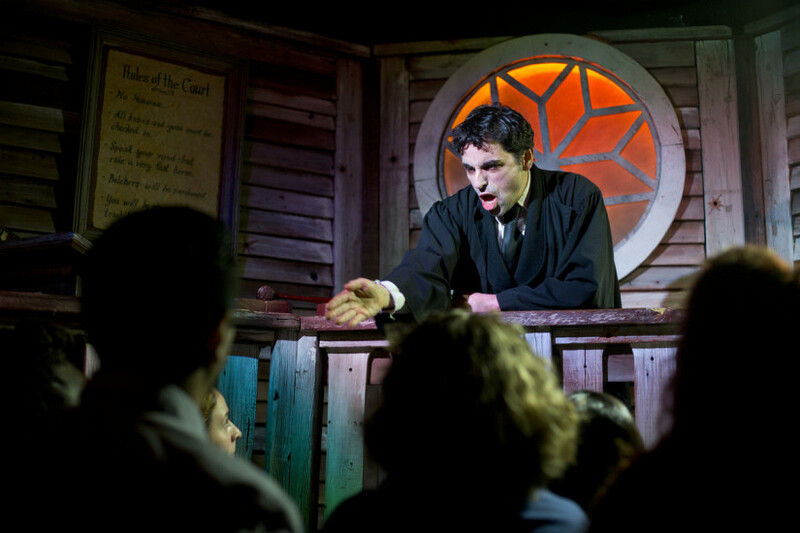 Realistic prison set pieces and props, including posters of prisoners and the prison’s rules, surround them as they’re fingerprinted and processed as prison inmates by a grim and not-so-friendly guard. As is true with all Dungeon shows, visitors will also learn a bit of true history surrounding 1915 Alcatraz and its infamous past. Next, prisoners are shuffled out to the desolate prison yard where they find themselves joining an escape attempt as a storm rages above. Cue the sirens, barking dogs, shouting guards and the scream of bullets flying past. Searchlights sweep across the faces of trapped prisoners who… desperate to escape The Rock… now face a jump… into the deathly San Francisco Bay… and DROP! This entry was posted in Outside The Parks and tagged Drop ride, Escape Alcatraz, San Francisco Dungeon. Bookmark the permalink. Trackbacks are closed, but you can post a comment. Merlin like to use small indoor drop towers in their Dungeons and Theme parks. Most of the UK Dungeons have rides themed where the guests are “hanged” in the drop. Alton Towers has a (currently out of service) indoor ride based on an alien creature escaping (similar to ExtraTERRORestrial Alien Encounter). Legoland Windsor had a planning application for a haunted house containing a drop tower (not built despite getting permission after a lengthy appeal).